From the vault of my Revlon nail polishes, I bring you the long discontinued polish, Typhoon. I've had this polish for ages, and the formula is still good. 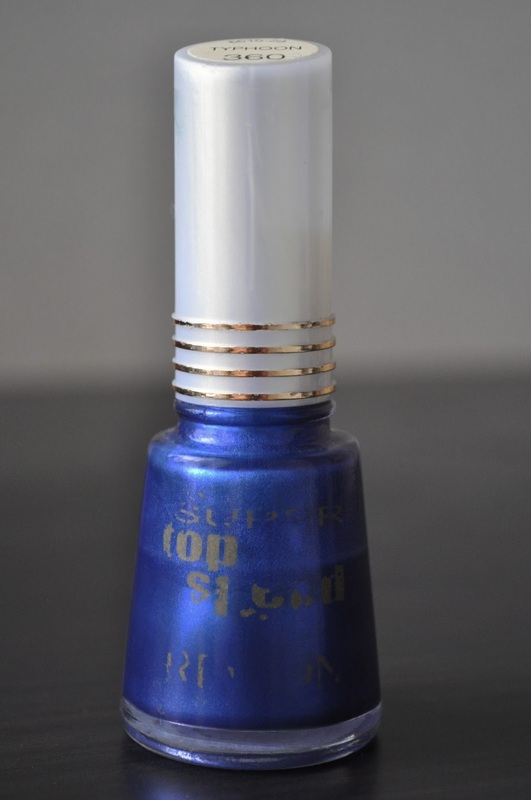 Typhoon is a shimmery, deep, medium blue with a barely-there violet sheen. Opaque in one coat, typhoon wears for 4-5 days. Typhoon is a pretty shade of blue, and a perfect shade for Summer; I love the contrast this shade creates when paired with a tan, and wearing something white. 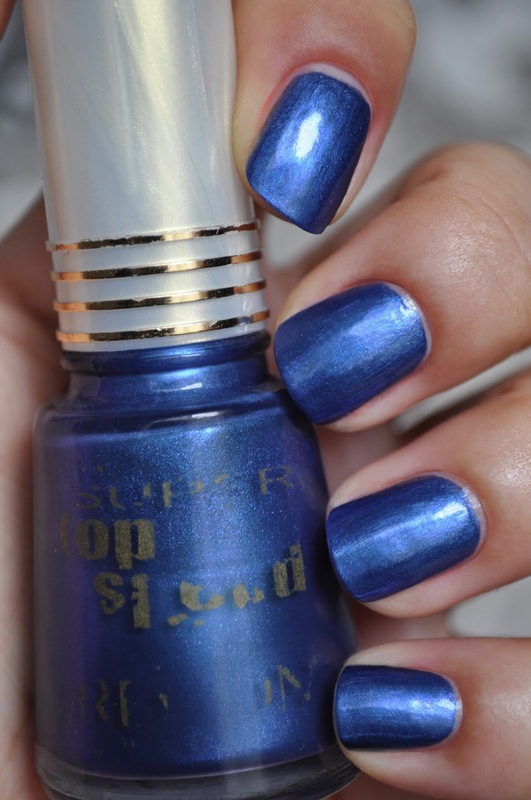 What are some of your favorite blue polishes?